Note: The Rescue Ranch helps local vets, shelters, rescuers and owners to save their animals. 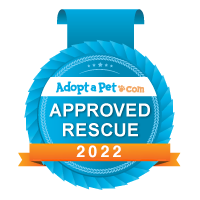 We also help others out of the area to connect to the proper rescue groups and professionals who can help their animals. We do not perform any medical intervention nor act as vets and we do not have a public facility. general medical care--or to hospice. In their last years/days--they have a safe, loving place to recover and/or to rest. Angels of the Rescue Ranch, work to rescue not only their bodies but their souls, too. --done to these animals mostly by other humans. Why do we do give up everything to help these animals? ...even though sometimes it may take years. they have a loving place to call home. VIP: Note: If you need to rehome or place an animal, please find rescue group in your area. Go to https://www.petfinder.com and search by your zip code and or breed, type. The Rescue Ranch is not currently accepting new animals. Save a life. Find a vet, a no-kill shelter or rescue group but please don't just set the animal free or bring to a kill shelter--it could be dead within the hour. What about adopting or fostering until you find a good home? Please.... Thank you! We have extreme--and many unexpected--expenses to sustain the Rescue Ranch monthly--in addition to special restorative or emergency surgeries and treatments. A few cannot continue such a mission--just like Best Friends Animal Shelter, The Humane Society, the ASPCA and PETA--even the Red Cross--all depend on caring individuals to help, we do, too! The difference? We dont pay out any salaries nor use your gifts for expensive TV commercials. Your gifts are used to directly help animals!! The founding members of the Rescue Ranch...Pops and Mebs. if you have a special needs animal who needs help, some resources are: handicappedpets.com and doggon.com for carts/doggie wheelchairs and supplies. If you have a dog with potential distemper, please visit kindheartsinaction.com. Ed Bond has the list of vets around the world using Dr. Sears' protocols. If your vet needs advanced help, please ask Ed to personally email us with the complete details of your case. Every minute counts! Rescue Ranch Dog number three...Kasey barely tolerated a "hat" of Poppy's fur for this cute pic! Please Click on Pet Mountain LOGO above to view the RR Wish List! One of nine breeding poodles dumped on the highway--three were saved. Jed the Poodle-Doodle (our name for his breed), loves Charlee and Chula! Jed, Charlee and Chula play hide and seek with a Min Pin, Penny (under the quilt). Charlee was already in the euthanasia room when we got a call to come save him. Chula had burns from neck to tail that weren't healing. We were asked to take her and save her life. They are all happy, healthy and emotionally recovering with their friends! Penny, with gorgeous golden eyes, was surrendered because she was grossly obese. Bunny, just having some nature time and helping me plant some flowers! PLEASE SHOP AMAZON THROUGH OUR LINK. Just click their LOGO above to go to our affiliate page. We get a tiny affiliate credit to use to buy dog food and supplies. Your orders are private and shipped by amazon. Note: As long as the main amazon page opens and you see "rescranc" in the URL link above the page, that means we will get credit. Thank you kindly.